Program Description: This program introduces Excel as a data management tool used for organizing, calculating, graphing, and sharing tabular information. Speakers lay the groundwork for developing proficiency in manipulating spreadsheets & managing data for legal work. 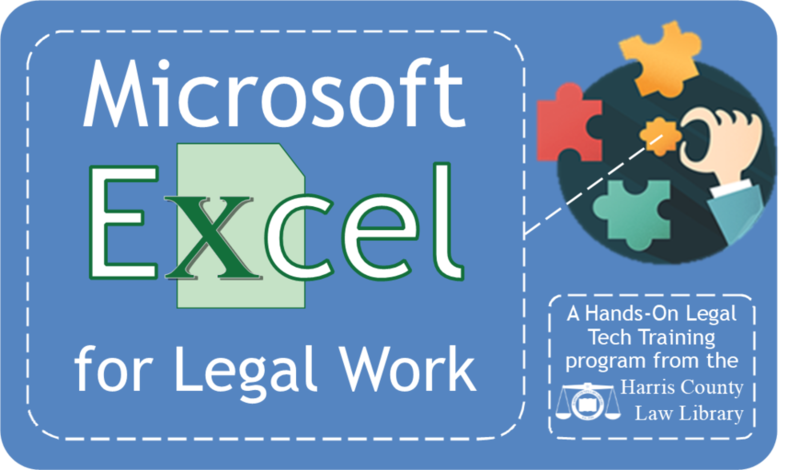 The class covers the most important features of Microsoft Excel using concrete examples and realistic data to demonstrate how spreadsheets can be used for legal work. Students will explore professional applications for using Excel to manage large document reviews, analyze accounting data, and evaluate litigation materials. Program Description: Speakers will introduce Casemaker and Fastcase, two next-gen legal research platforms that are available for free to all members of the State Bar of Texas. 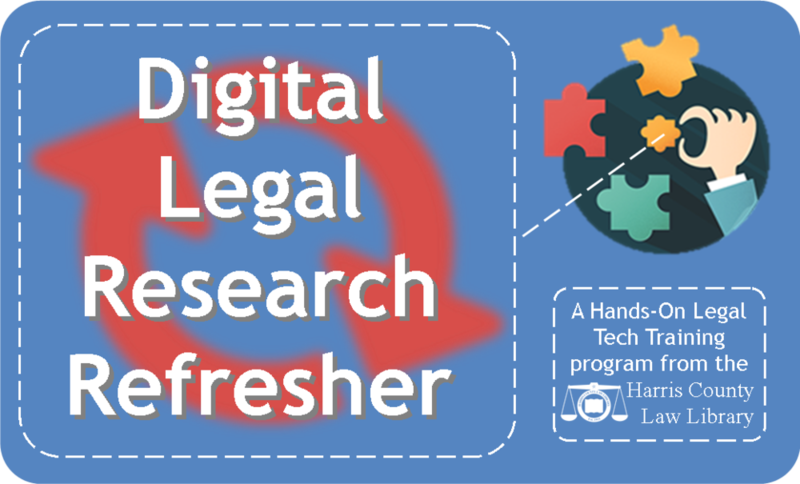 The course will cover research strategies, databases features, and limitations of each platform for comprehensive legal research. It will also cover techniques for accessing, evaluating, and using premium features of Fastcase through the Texas State Law Library’s Electronic Collection. Program Description: This session introduces standard features of the Android mobile operating system. Using an Android tablet, speakers demonstrate, in real time, how customized settings can maximize productivity. Course will cover Android mobile tools and widgets, so that attorneys may more effectively manage client data & matter information, improve communications, and access information stored in the cloud. Students will explore favorite legal apps for Android devices including tools for scanning, calendaring, time billing, legal research, remote access, note-taking, cloud storage, and more. Program Description: This program is intended for legal aid attorneys, attorneys engaged in pro bono work, and members of the public interested in legal matters. It will focus predominantly on family law, housing, and consumer issues. 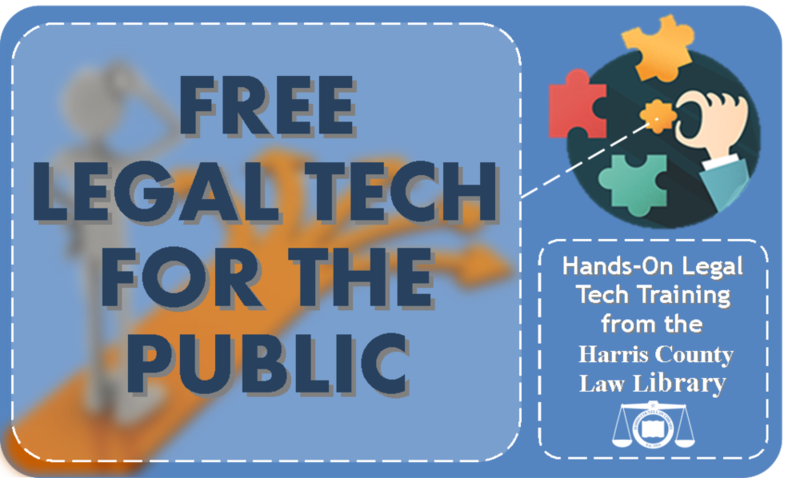 The presenters will cover online legal resources and other tech available for self-represented litigants. Specifically, we will explore TexasLawHelp.org, database access provided by the Texas State Law Library, and forms and guidance available from local government and nonprofit entities. Program Description: Learn techniques for increasing efficiency while researching with Westlaw and learn to use automated cite checking and more with Drafting Assistant from Thomson Reuters. Both Westlaw and Drafting Assistant are available for free at the Harris County Law Library. Where: Harris County Law Library, Congress Plaza, 1019 Congress Street, 17th Floor, Houston, Texas 77002. For directions and parking information, visit our Contact Us page. Program Description: Guest speaker, Dustin Sachs, Senior Forensic Consultant at D4, will focus on common attacks facing law firms and tips to prevent exposure of client data. The presentation will prepare law firms and counselors for 2019 by exploring the landscape of emerging cyber threats and suggesting steps to take in the event of a cyberattack. The presentation will also include a discussion of the new California Consumer Privacy Act. Where: Harris County Law Library, Harris County Attorney Conference Center, 1019 Congress Street, Lower Level, Houston, Texas 77002. For directions and parking information, visit our Contact Us page. 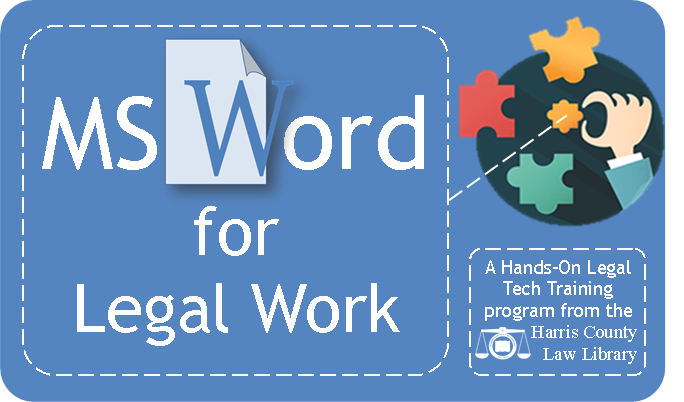 Program will cover legal research techniques using Lexis Advance, a powerful legal research platform that is available for free on the Harris County Law Library's research computers.